Mina Hindholm Imam Khatib school will take on students aged 18 and up from Denmark, Norway and Sweden. The northern European region of Scandinavia has officially opened its first Islamic Theology boarding school, known as an Imam Khatib school, in the Danish city of Slagelse. The school is due to take on students from Denmark, Norway and Sweden and will teach the national curriculum along with Turkish and Islamic lessons in the fields of Qur’an, Hadith and Islamic creed. Boarding school head Ahmet Deniz told Anadolu Agency said that Mina Hindholm will be Denmark’s first official Islamic school for students aged 18 and up. 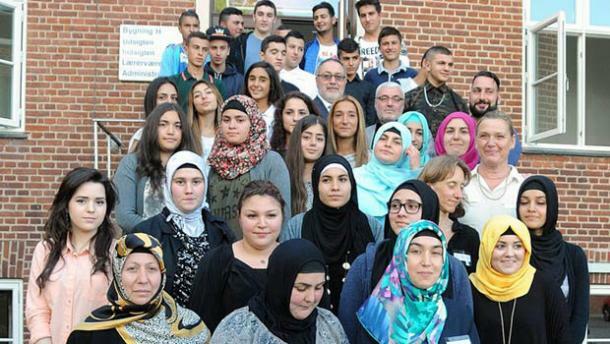 The school, which is Europe’s second Imam Khatib after the one in Belgium, already has 52 students.